You can easily create and manage an unlimited number of custom results pages by using Saved Links. A Saved Link can be built around specific criteria that you choose. 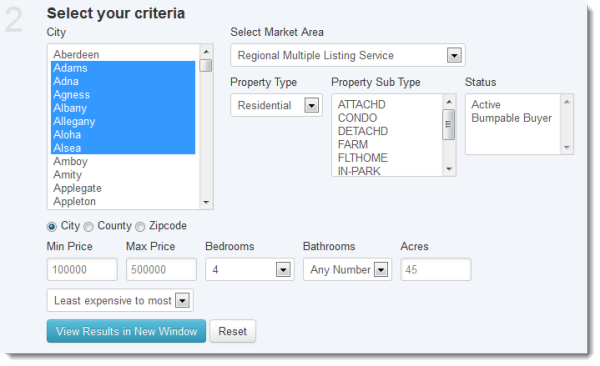 For instance, you may have a page with all the active listings in a particular building or subdivision, or all the listings in a price range from a specified area. You can select all the search criteria ahead of time so your visitors don't have to. 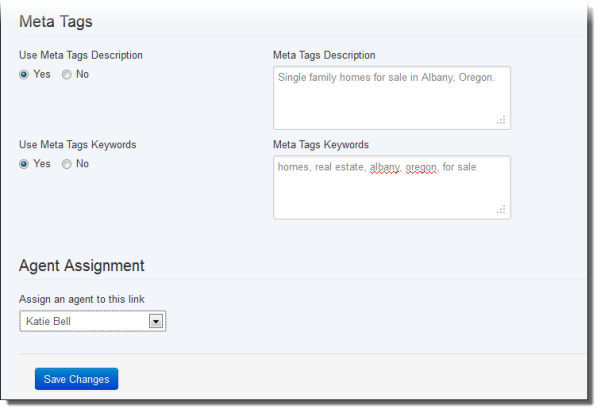 Your saved link will get it's own Custom URL and you can even customize the Meta tags and Title for better SEO. To create a saved link, click on Design in the main menu, Website in the submenu, then Saved Links. From there, click Create Link in the upper-right hand corner. Select the search page you would like to use to build your Saved Link. The search pages available here are the same search pages available to you in your Page Templates section (Design -> Website ->Page Templates). The option that offers the most customization will be Advanced Search page. On some accounts, this page may be labeled Home Search. You can build a Saved Search with any of your other available search pages. The search form you selected will appear on your screen. Fill out the search form with all of the criteria you would like to use to narrow down the results. At any time you can test which results are being returned with your chosen criteria by pressing the "View Results in New Window" button. When you are done, click Next Step. You can set a custom Page Title, Link URL, and set custom Meta Tags for this unique set of search results. You can also add a Sub-Header to this page to make it even more unique and engaging (you can add this later if you wish to simply save the link now). If you have an Office Account, you can also assign an Agent to this link. The assigned agent will receive any new leads that come in as a result of clicking this link. Once you've saved your link you can view this and any other links you have saved in your account by going to Design -> Website -> Saved Links. See this article for more information about Managing and Customizing the settings of your Saved Links. 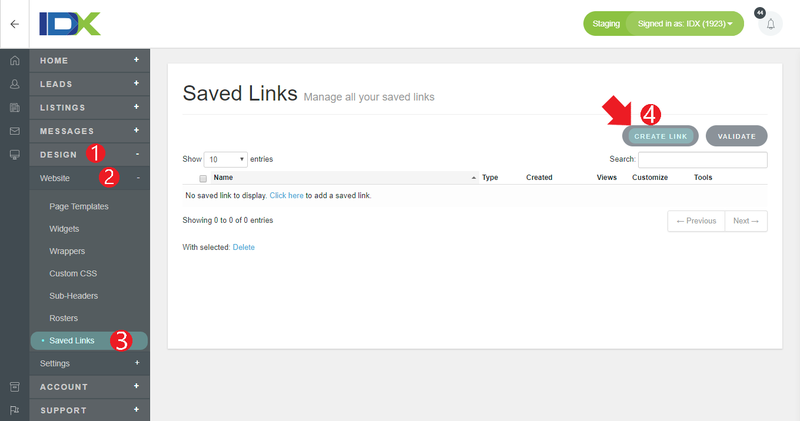 To add a Saved Link to your website, click the Preview icon to the right of your saved link from the Saved Links list. Your custom search results page will open in a new browser window or tab. Copy the URL from the address bar in your browser. This is the URL to your Saved Link. You can place this link in your website navigation or link it through an image or text anywhere on your site.